If you are thinking about listing your home for sale, one of the biggest factors that may be holding you back from pulling the trigger on this decision is the value of your home. You may have a decent idea about the value of your home by researching other listings in your community, but you may not be able to pinpoint a fair asking price that would get your home sold quickly without leaving money on the table. The fact is that your knowledgeable real estate agent will provide you with a valuation up-front, and this can help you to make a more informed decision. There are several components to the valuation that you may need to know more about. 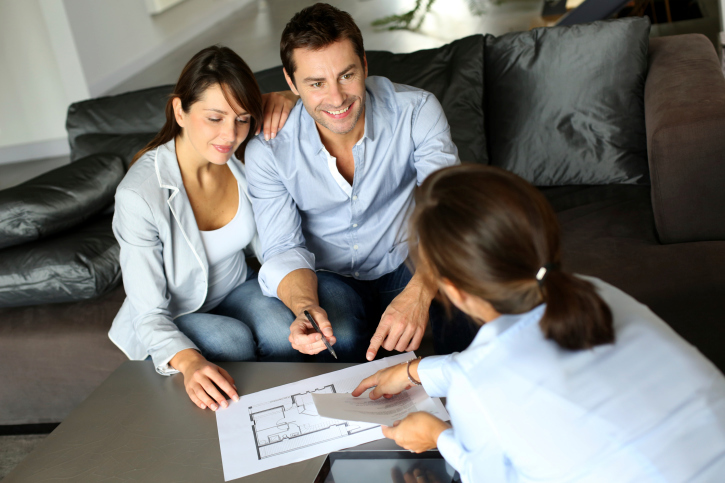 When a real estate agent is preparing a market valuation, he or she will initially tour your home to get a feel for the layout. Factors like the number of bedrooms and bathrooms, the size of the living areas, if the kitchen is closed off or open to the home and more will all impact desirability and therefore value. Because of this, it is not always easy for a homeowner to determine value with accuracy, and the insight of a knowledgeable and experienced agent is important. Your real estate agent will know the average price per square foot of homes in the area, and this price per square foot can be applied to your own home. However, keep in mind that there is a difference based on one or two-story homes. Generally, one-story homes will have a higher price per square foot than two-story homes. Other factors such as the condition of the home and special features will come into play. When you receive a valuation for your home, the real estate agent will give you additional value for special features that have broad market appeal or for an improved condition over other homes in the community. 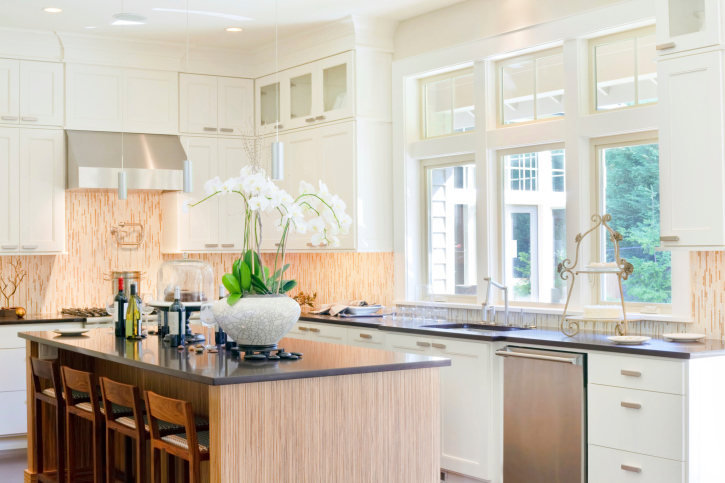 For example, if your home is in an older community and you have recently updated the kitchen, you may have a value based on a higher price per square foot than other homes in your area. The fact is that the average price per square foot of similar homes in the area will come into play for your valuation, but there are adjustments made for different features and for the condition of the home. You can learn more about the value of your home by speaking with your real estate agent. If you are a homeowner, you should always be thinking about ways that you can boost the resale value of your home. Whether you are planning on putting the home on the market, or simply want to be prepared for the future, there are upgrades that can make your property more desirable. Give your home the attention it deserves and you’ll be prepared for whatever may come down the line. 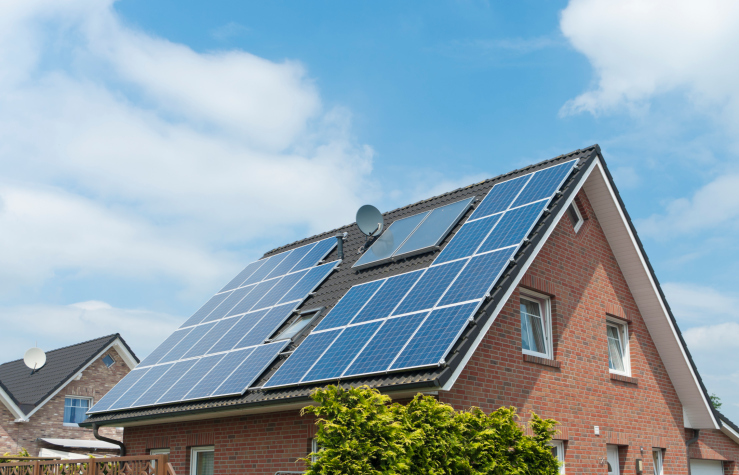 There’s no doubt that solar power is big in today’s housing market. It’s an excellent resource that will save you money on your utility bills. You could even find yourself in a situation where the power company is actually buying energy from you. It’s also a move that is environmentally-friendly. If you feel a responsibility to the world around you, you will have the peace of mind that comes with reducing your carbon footprint. As energy becomes scarce, solar power is something you can count on. Future buyers will benefit as well. When it comes to your heating and cooling, install a system that will meet all of your needs. Keep your home at a comfortable temperature throughout the year at the touch of a button. Choose an energy saver model that uses the most feasible type of energy source in order to trim costs. When you have a modern system with automation capability, you should see a difference in your utility bills. You’ll also have a huge selling feature to show off when prospective buyers come knocking at your door. Take the space that you have and make sure that you utilize it to its full potential. Whether you create an attic bedroom or a finished basement, making better use of your space will increase your home’s appeal. When it’s time to sell, buyers want to see possibilities and appreciate it more when the work has already been done for them. Give them options and let them make the space their own. Call your real estate professional today to further assist you with questions and solutions when considering the resale value of your home. You’ll be able to tap into a vast store of knowledge about what works and what doesn’t before investing in any upgrades. The Federal Housing Finance Agency (FHFA) reported that home prices rose by a seasonally-adjusted rate of 0.30 percent in January, and were 5.10 percent higher as compared to home prices in January 2014. FHFA oversees Fannie Mae and Freddie Mac and its home price report is based on sales of homes financed by mortgages owned or backed by Fannie Mae and Freddie Mac. Month to month home price data was mixed for January. Home prices ranged from -0.40 percent in the Middle and South Atlantic census divisions to +2.30 percent in the East South Central census division. Month-to month readings are considered more volatile than year-over-year home price readings. Year-over-year readings for all nine U.S. census divisions were positive and ranged from a 1.70 percent increase in the Middle Atlantic division to an increase of 8.20 percent in the Pacific division. 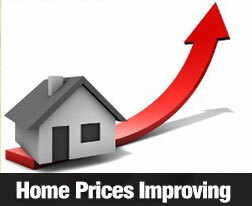 This suggests that overall, home prices are gaining, but slowly. In an unrelated report, the Commerce Department reported that February sales of new homes reached a seven-year peak with 539,000 sales of new homes expected on a seasonally-adjusted annual basis. This was significantly higher than the expected reading of 455,000 new home sales and was also higher than the revised reading of 500,000 new home sales in January. Analysts said that this positive reading may indicate a robust sales for the peak spring and summer home buying season. The reading for new home sales in February was nearly 25 percent higher than for February 2014. In spite of this good news, analysts cautioned that the new home sales numbers are often volatile, and future revisions could result in lower sales figures for new homes. With jobs increasing and mortgage rates remaining relatively low, more homebuyers may enter the market and boost home sales. Tight mortgage lending standards remain an obstacle for would-be buyers with less than stellar credit scores. A fire can rage through your home at a moment’s notice, and it can cause a significant amount of damage in a very short period of time. Damage from the flames, intense heat, smoke and soot can cause tens of thousands of dollars or more in some cases, and a severe fire event can result in a total loss for the homeowner. More than that, a fire can create a serious health and safety risk for you and your loved ones inside the home. If you are concerned about how safe your home is from a fire, consider a few important points. Do You Have Fire Extinguishers On All Floors? When a small fire breaks out, you may only have a few seconds to respond. You simply do not have time to rush around the house in search of a fire extinguisher. Instead, you should know immediately where it is at and how to use it. More than that, you should have one available on all floors of your home. While you may want to reach for a fire extinguisher to put out a small flame, you should still yell for others in the home to vacate while you use the fire extinguisher. Do You Have Smoke Alarms in Ideal Locations? Fires can break out during all hours of the day and night. When you are awake, you may easily be able to smell smoke from a nearby room. However, when you are asleep or when the smoke is in a removed area of the home, it can be more difficult to observe the signs of a fire until it is too late. Placing a loud smoke alarm in all bedrooms in your home is a wise idea. You will also need one in living areas of the home. If your home is larger in size, you may consider investing in additional smoke alarms. When Was the Last Time You Replaced the Batteries in Your Smoke Detectors? It is not enough to simply have the smoke detectors mounted to your walls or ceiling. Instead, you need to make sure that they are loud and that they work well. If you have a hearing impaired person in the home, you should invest in detectors with a visible strobe light to alert them to a danger. Batteries generally should be replaced every few months, and you may consider replacing the batteries each time you replace the filters for your HVAC system. Keep in mind that it is better to replace the batteries before they lose power than to be without the function of an alarm in your home when you need it. 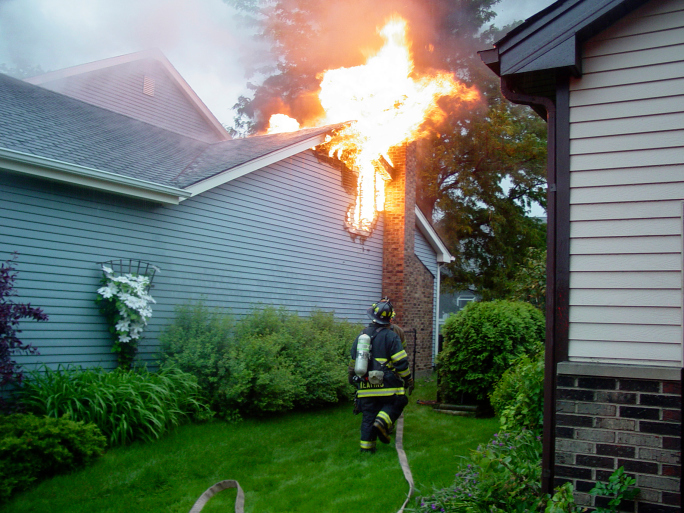 Even a small fire can be a dangerous and costly event. By focusing on these factors in your home, you can most easily prepare for a fire, and you will be able to take immediate action in the event a fire develops in your home. The NAHB Wells Fargo Housing Market Index fell by two points for a reading of 53 in March. The expected reading was 57. Analysts said that this proves that lower mortgage rates and steady job growth aren’t fueling housing markets as expected. NAHB chief economist David Crowe also cited supply chain issues such as a shortage of available lots, labor shortages and tight mortgage underwriting standards. Home builders remain optimistic that as labor markets continue to improve and more home buyers enter the market during the traditional spring and summer buying season, that builder confidence will also grow. The Department of Commerce reported that building permits for February rose from January’s reading of 1.06 million to 1.09 million. This represents a 3.00 percent increase and was the highest reading since October. Permits fell for single family homes fell by 6.20 percent in February, but were 2.80 percent higher year-over-year. Single family permits account for 75 percent of building permits issued. Housing starts fell dramatically due to bad weather. The Northeast saw housing starts fall by 56 percent due to extreme snowfall; Housing starts in the Midwest fell by 37 percent and the West saw housing starts decline by 18.20 percent in February. The South reported a 2.50 percent decrease in housing starts, but since nearly 50 percent of housing starts are in the South, this decline is more significant than it appears. The Federal Reserve noted in its post FOMC meeting statement that the Fed is in no hurry to raise rates. Citing ongoing concerns about low inflation and a sluggish housing market recovery, the Fed’s policymakers indicated that they don’t plan to rush on raising the target federal funds rate. In her press conference held after the FOMC statement, Fed Chair Janet Yellen reiterated the Fed’s intention to raise rates only when domestic and global economic developments warrant. Mortgage rates fell according to Freddie Mac with the average rate for a 30-year fixed rate mortgage eight basis points lower at 3.78 percent. The average rate for a 15-year mortgage was four basis points lower at 3.06 percent; the average rate for a 5/1 adjustable rate mortgage was also four basis points lower at an average rate of 2.97 percent. Discount points were unchanged at an average of 0.60 percent for fixed rate mortgages and 0.50 percent for 5/1 adjustable rate mortgages. This week’s housing-related news includes new and existing home sales, the FHFA home price index and FHFA’s home price index. Freddie Mac mortgage rates and weekly jobless claims will also be released as usual on Thursday.